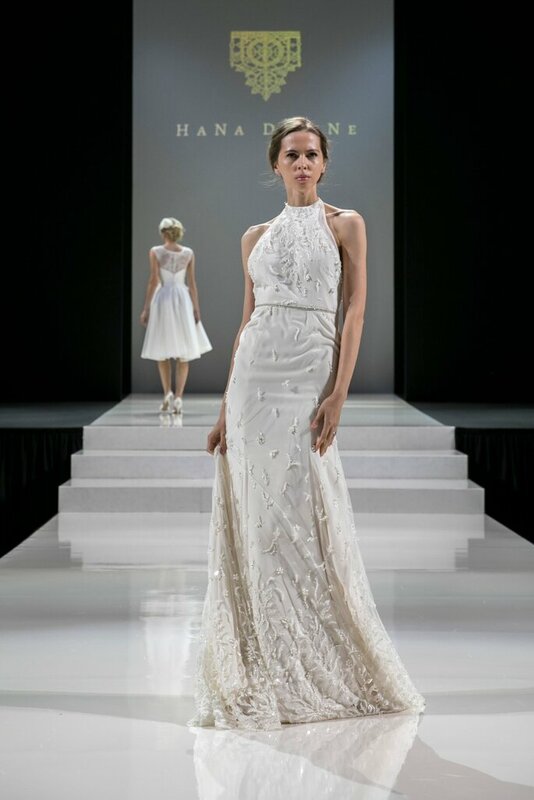 The Harrogate Bridal Show takes place every year in its namesake town in the rustic English province of Yorkshire, and attracts bridal fashion providers and vendors from all over the world. And the 2018 exhibition was no exception, with nearly 5,000 attendees across the event that lasted from the 9-11th of September – over 600 of these attendees heralded from the international arena, and so there was a real global flavor brought this year! 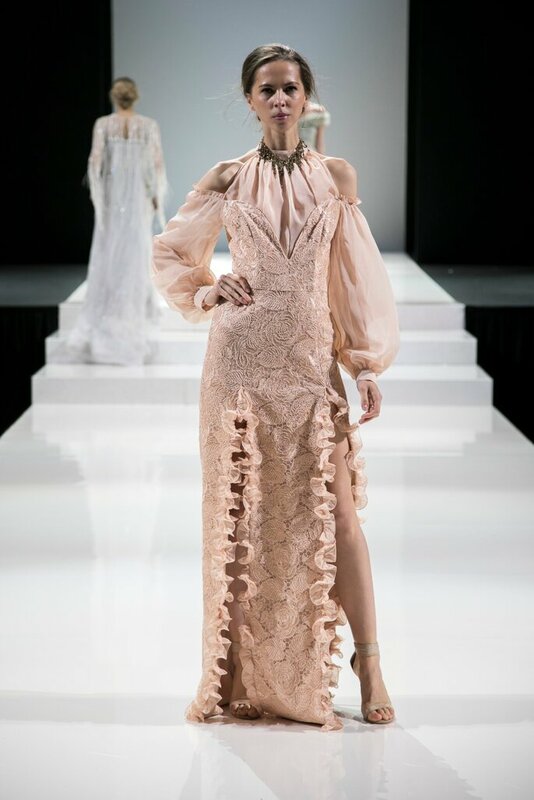 With some of the top designers in attendance – including Anna Romysh, Safiyya Babayeve, Casablanca, Dando London, Mark Lesley and Enzoani – it was a real treat, and we’ve brought the highlights! Photo: Casablanca. Harrogate Bridal Show 2018. One of the most important industry events of the year for bridal fashion providers, this gathering in Harrogate allowed thousands of vendors to meet one another in England’s wedding district, and begin networking. Indeed, between showcasing their own products to potential suppliers, and admiring the gowns on display from some of the aforementioned designers, this was a fantastic opportunity to begin talking about potential collaborations for 2019 – and hopefully we’ll see the results of these encounters in the new year! Photo: Hana Divine. Harrogate Bridal Show 2018. 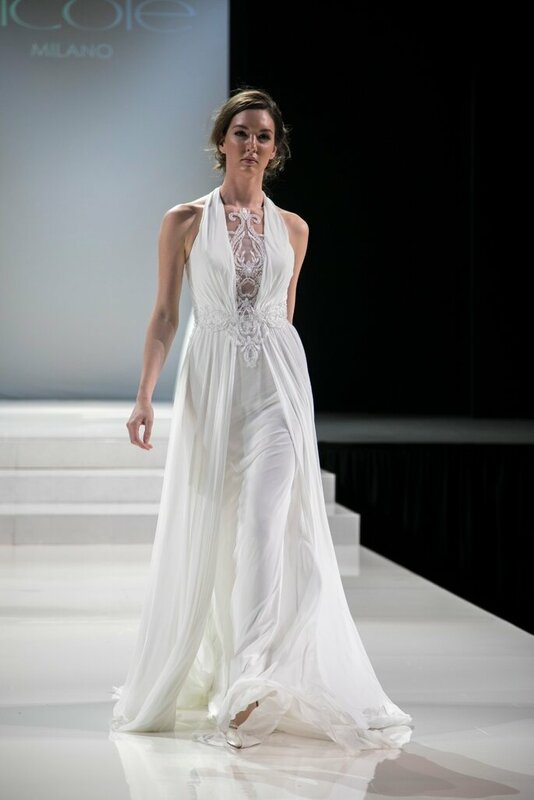 However, let us not ignore the elephant in the room – the dresses (objectively the best part of the Harrogate Bridal Show every year – who doesn’t love a catwalk showcase?!). This year, there was an incredible catwalk on offer, with some of the most esteemed brands across the UK involved; four shows were held across the three days, with collections of varying price points so that distributor attendees could be sure of where the market average was. Not only an informative learning experience, it was also a visual delight! Photo: Ladybird. Harrogate Bridal Show 2018. Photo: Saifyya Babayeva. Harrogate Bridal Show 2018 . Photo: Nicole Milano. Harrogate Bridal Show 2018. 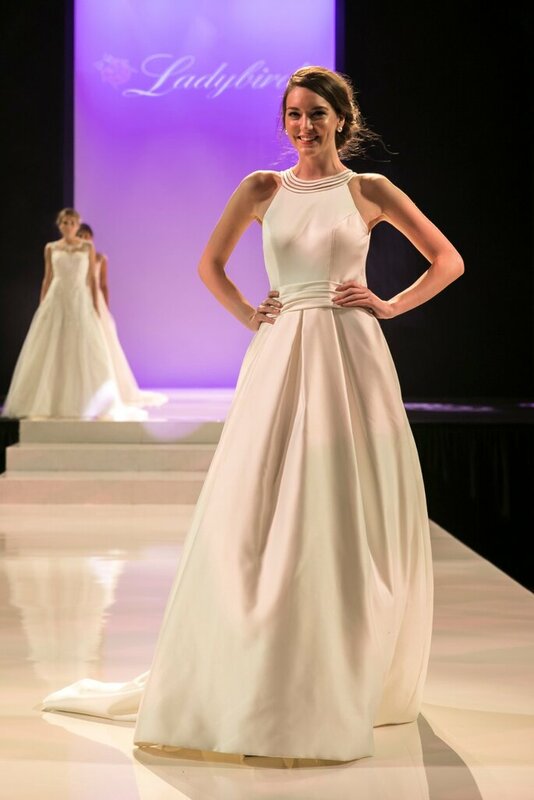 Another resounding success, the Harrogate Bridal Show was an amazing showcase of what we can expect in the bridal fashion industry for 2019, and an excellent chance for providers and vendors to start networking and discovering new products. Here’s hoping that the 2019 show will see even more international visitors, and a growth of the event outside of Europe!